11.10 Oneiric Ocelot will be the 15th release of Ubuntu, scheduled to be released on 30th of October 2011. Unity (the new Ubuntu GUI) would be improving in this release (hopefully), including the GUI as well as functionality. Other noticeable changes include the ones mentioned below. GNOME 3 is the next generation of GNOME. It provides a completely new modern desktop that has been designed for today's users and technologies. Unity, of course, doesn't include everything from GNOME 3, e.g. GNOME-Shell. 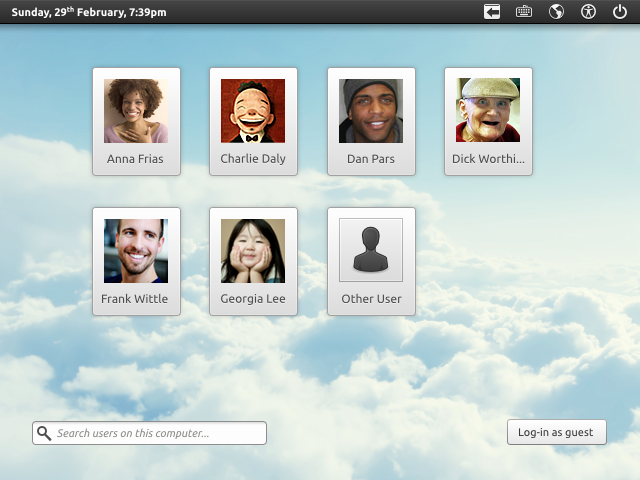 Ubuntu has been using GNOME's display manager, GDM, till 11.04. From 11.10, it will be switching to a new display manager, i.e. LightDM. They say LightDM would be easily themeable, it is a lot lighter as reflected by the name and would match Unity better than GDM. Ubuntu 11.10 would be featuring Hybrid ISO images as announced by Ubuntu Technical Board member and Installer Team Leader Colin Watson a few days ago. Hybrid image means the ISO can be simply copied over to the USB drive without the need of any third party utility. However, for making the drive persistent, one can still use Ubuntu Live USB Creator to serve the purpose. Many other distributions, including Fedora and OpenSUSE, are already using Hybrid ISO images since quite some time. Classic GNOME session will not be there in 11.10 and onwards. Many users don't like the change but it is a bold move. If the hardware doesn't meet the requirements to properly run Unity (3D), Ubuntu will fallback to Unity 2D which needs less resources to run, obviously. Some people liked the new overlay scrollbars in Ubuntu 11.04 while for the others, it was a pain. The Ubuntu team is working to make overlay scrollbars function better, importantly with the touch devices. "NOTHING. Absolutely nothing. Sure, we have the usual two thirds driver changes, and a lot of random fixes, but the point is that 3.0 is just about renumbering, we are very much not doing a KDE-4 or a Gnome-3 here. No breakage, no special scary new features, nothing at all like that. We've been doing time-based releases for many years now, this is in no way about features. If you want an excuse for the renumbering, you really should look at the time-based one ('20 years') instead. "In addition to the driver changes (and the bulk really is driver updates), we've had some nice VFS cleanups, various VM fixes, some nice initial ARM consolidation (yay!) and in general this is supposed to be a fairly normal release cycle. The merge window was a few days shorter than usual, but if that ends up meaning a smaller release and a nice stable 3.0 release, that is all good. There's absolutely no reason to aim for the traditional '.0' problems that so many projects have." Synaptic would not be present in 11.10 by default, instead Software Center is prospected to handle all the package related jobs. However, till now, not all the Synaptic features are present in Software Center. I hope they manage to improve Software Center in the upcoming months, before the final release of 11.10. Still, Synaptic would be available in the repositories for installation.